Some may wonder how we pull together our history notebooks. This is just one way we do it. I am highlighting a few pages from my son's history binders: Leif Erikson and Chris Columbus, from way back when-like early to mid-elementary age. I have another post coming up about our current science/history notebooking too...hopefully, I will get that done before March. 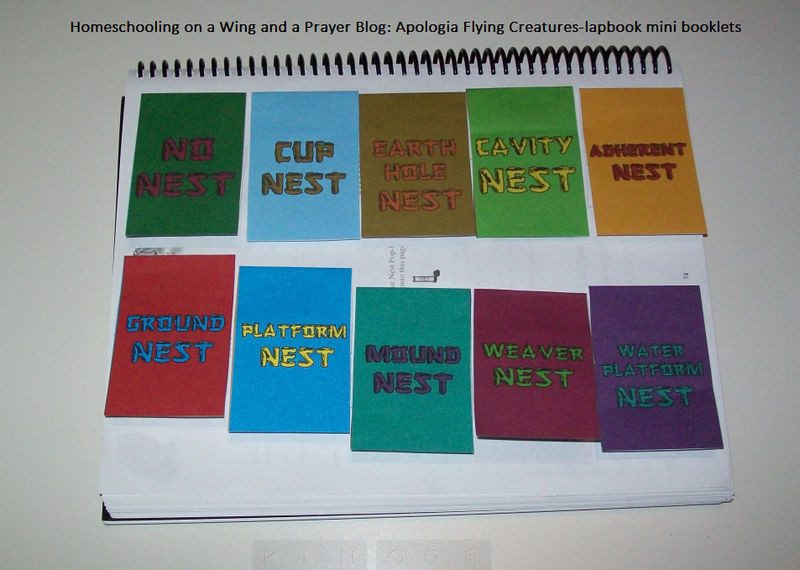 I used Beautiful Feet Books products (we love their guides and use almost all of them) as the course base, read additional materials if needed and then journaled/notebooked and/or had the children color pics to add some interest. We just add as we go through the lessons. I would like to point out that I use several different sources-BFB guide, books listed in the study Enchanted Learning and ABCteach. I use what ever I can, including online sources to get some goodies. Please remember, my son is color blind so lots of stuff is green, brown or oddly colored. It is easy to build a notebook using any history program, as you can add pics, text, poems, maps, etc. that fit each area you study. Using this technique not only provides a great source to reference back to-it makes such a neat "step back into time" too. I love going thru the older kids' books to see their stuff-it is so sweet. Well, hopefully, you are encouraged to give this a try. I have a fun idea to share. You don't need to be doing a full blown geology study to do it either. Just a few goodies and some kids who enjoy such things. Basically the student works thru the listed activities on the worksheet to figure out different qualities/traits of the mineral. My son truly enjoyed this activity. I hope your student(s) will too. 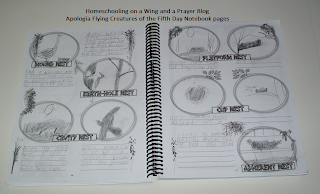 Be sure to have them place their worksheets into a binder/notebook or little booklet. 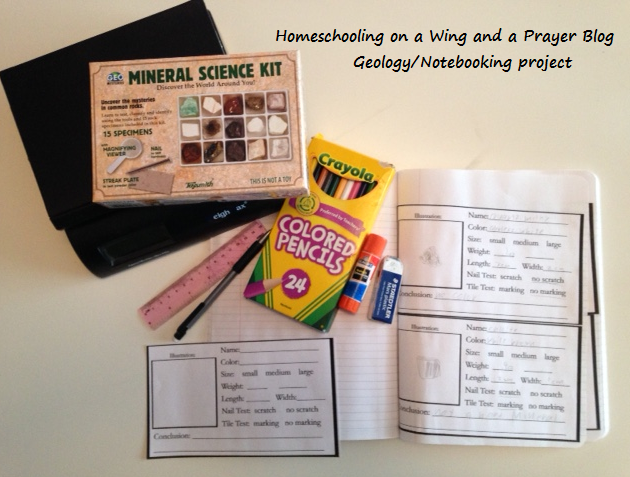 The Crafty Classroom has a very detailed post on how to set up fun activity stations for exploring rocks/minerals. Actually, I was so excited to come across this site. There are lots of great ideas to help you homeschool. 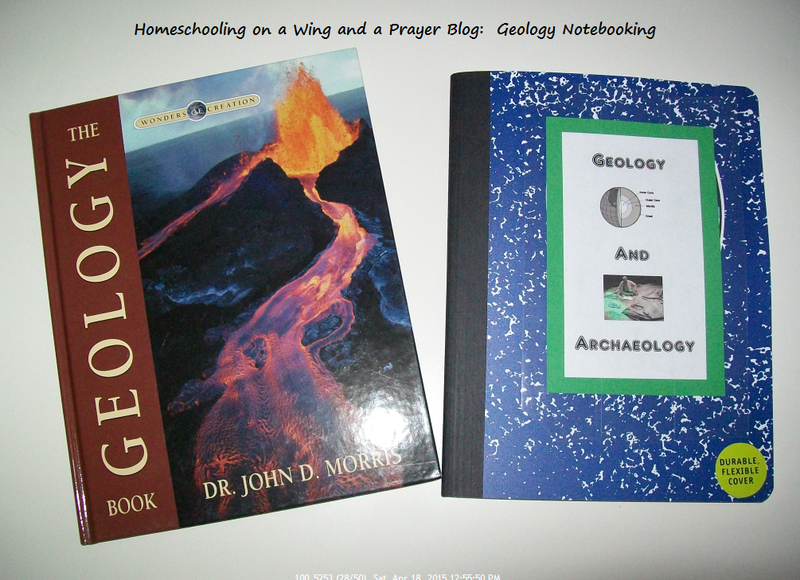 We finally were able to start our Geology and Archaeology series. Since we had such a late start-I decided to do the Geology first (it has less chapters) so we could finish by the end of this year. I simply glued then taped (the cover is soft not the cardboard like other Mead Composition notebooks) the label to the front. Then we started notebooking. I find some of the material on the internet, or from a book or have him simply draw/write what is needed. 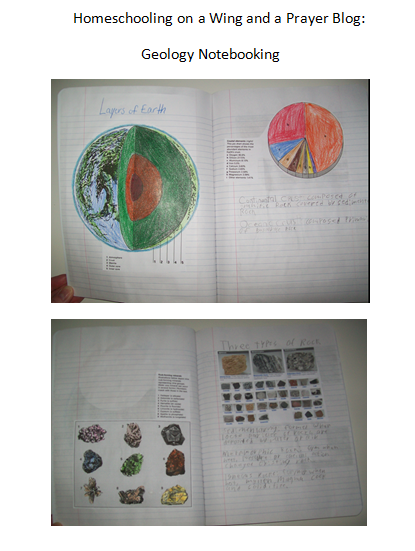 I am using the teacher's guide to simply see what their worksheets were asking the student to cover. 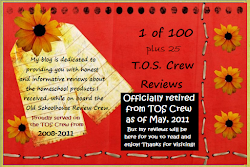 I am not much into worksheets as much as I am lapbook components, small diagram pictures and such. I find my son actually becomes more engaged when I have him doing a lot of the work himself or by having him color/cut and place smaller snippets of data. There is enough space to have him do both units so I will simply add a tab to the point of where the archaeology starts. Being creative and finding different components does take time (lots of Pinterest and basic Googling) but the results are worth the effort. Providing a good nature study foundation for your student, is one of the most rewarding aspects of Charlotte Mason. You can start out simply enough by just focusing on reading books about a certain subject. That will provide a nice springboard to stir up some interest. Slowly add in an afternoon stroll around your yard, neighborhood, or a local park-of course this depends on the season. Take note of the type of birds, trees, animals and plants you see. Even if that is simply mental notes or a couple pictures. Then when you get home, look up the finds (via the internet, books) and discuss them. After a few times of this, it can easily grow into a more organized, detailed study. Use the resources available to you. Remember, you do not need to reinvent the wheel to do this! There are plenty of creative and handy folks who have pulled together studies, books and all sorts of ideas to get you on your nature study path. Now when those moments arise when you simply are befuddled about what something is or what it does, be sure to admit to your students. You do not need to be a walking encyclopedia on all things nature like. 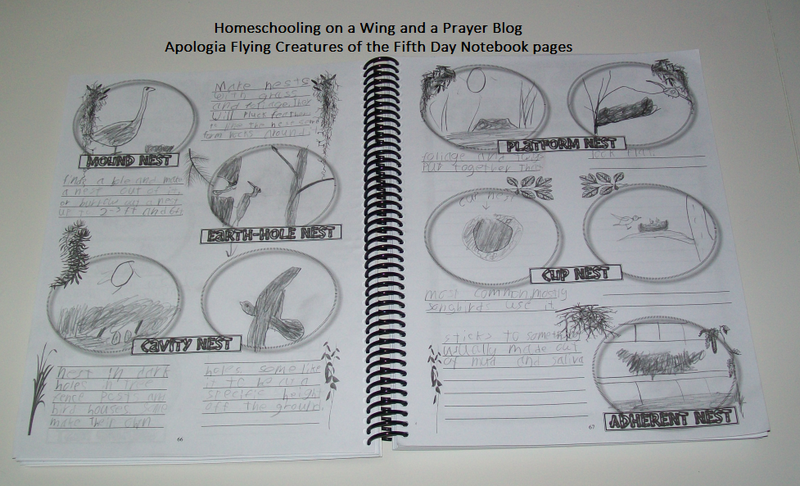 AND you don't have to be artistically inclined to do nature studies or the notebooking aspect. The true object to refine your observation skills, to truly see the Glory of our Heavenly Father. It is not about how well you can sketch. If you feel you and your students need some art instruction, by all means-add it. There are plenty of "how to" books available. Try your library first, go through their collection and only purchase the ones that best fit your family. It takes time, but the results are life changing. 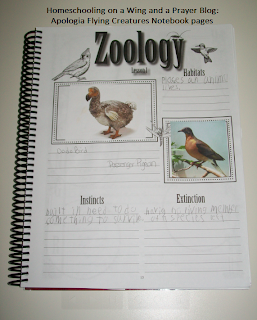 One can add many different forms to their 3-Ring Binder, using a variety of sources, notebook pages and ideas. 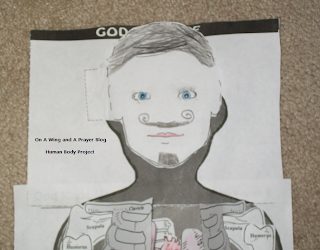 I find this method works great because a child can add, shift around projects as they build their collection, and even categorize their works. I use the Handbook of Nature Study by Anna Comstock a lot. 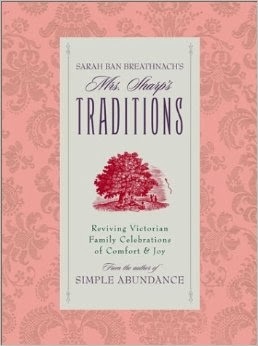 Barb's studies tie directly into this book, and are easy to implement. I find quotes from the Bible various other sources. Having a good supply of paper, colored/drawing pencils, erasers, crayons, watercolor paints, scissors (for snipping specimens), and any other medium you can use to sketch, or capture your NS moments is a great way to stay "ready". We keep our goodies in plastic, snapped totes so we can take them with us while we travel, do specific studies, and so forth. Don't forget tweezers, variety of magnifying glasses, bug catchers, and a butterfly net to help you corral your findings, so you can sketch them too. 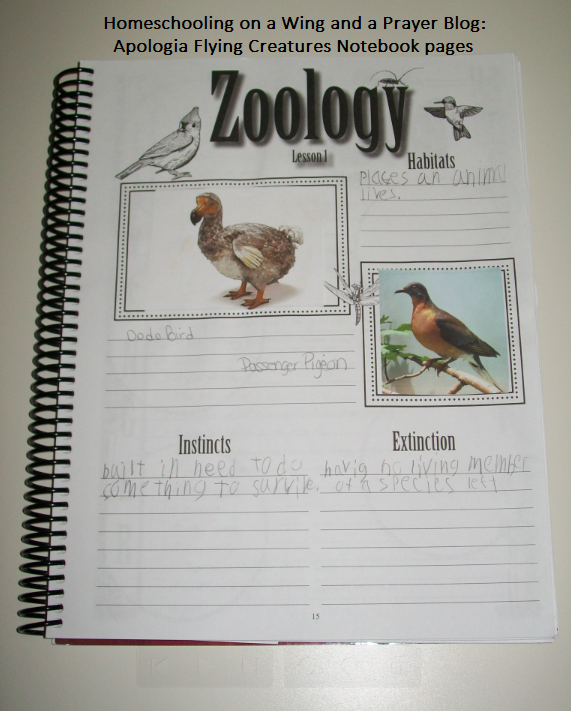 Here are some examples of our John James Audubon notebook we put together when we covered him. Obviously, you can substitute this for any artist, musician or person of interest. I simply created a cover for the blank book I had purchased for this very activity. I believe I got these from Bear Books, but you can also find blank books at Miller Pads and Paper. These pages were from an Audubon notebook/lapbook package. I am not sure where I found that either but when I come across that source, I will be sure to post it. These pages were put into a larger blank book from Pear Educational Products (site currently needs to be fixed-it links to the wrong place). Since most of the pages were printed, we simply glued them down on the pages. 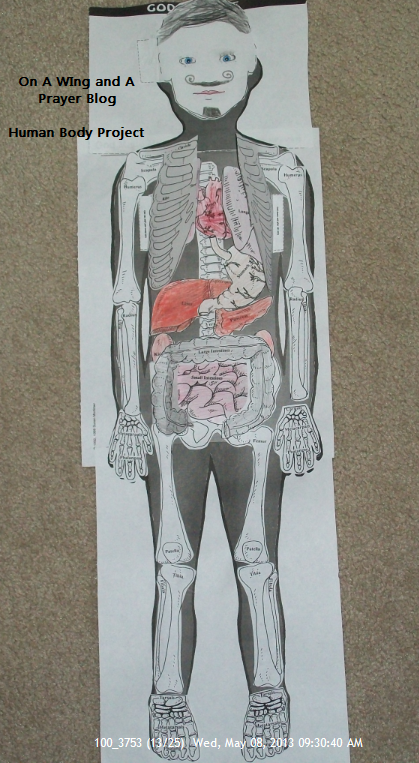 Some children would enjoy coloring on the direct pages or adding stickers too. With them being blank, it allows for so many options to truly personalize them. **for specific J.J. Audubon ideas see my post on that here. Usually I copy and create notebook pages to supplement our science but this year, knowing our schedule-I ended up purchasing the notebook that is specifically designed to complement the textbook. It has been a God send! I mean it. I have found that I am no longer spending huge amounts of time searching for material or creating go-along pages/activities, and I don't need to come up with lapbook components either! Granted, some of the activities we have skipped (which is quite alright in my opinion) but for the most part has been a seamless way to further implant the lessons into the Boy's head. The lapbook components (included in back of notebook to pull out to create as needed) are very colorful and nicely done. Talk about saving cash on printing! Whew. If you are a follower or if you just pop by to read up on the Heart of Dakota [HOD] program we have been using this year, you are probably familiar with my feelings on it by now, but I wanted to highlight a couple things we have done that has taken outside the box. 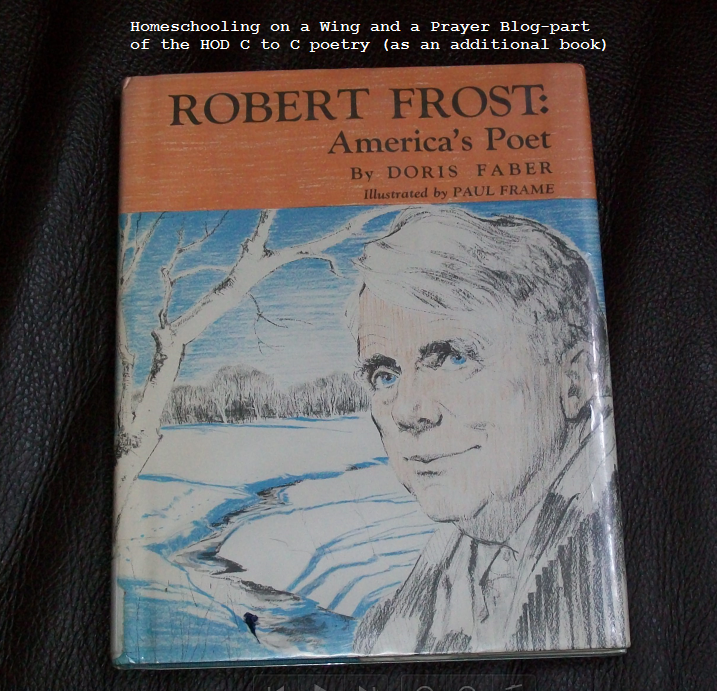 I found we (personally-as this may not be for every family so keep that in mind) needed to do something different regarding one recommend book for science; and that one area definitely needed a more in-depth investigation-the poet Robert Frost. 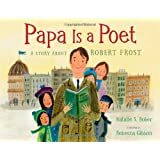 As for the lack of any biographical data/study on the poet Robert Frost...well here is where I was sadly disappointed with this section. It is very Charlotte Masony to study the person and not just their work. So being that I am versed in scrounging up data-I found a few things to offer the boy as a backdrop into who this dude was. The one I got via the library is older-so not everyone will be able to find it. 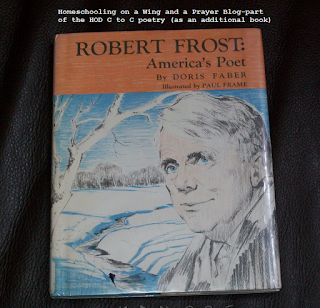 It is Robert Frost: America's Poet by Doris Faber. I have to say it was a very nicely written book that hits all the key points a book should when following the CM method for choosing books-it was twaddle free. :) Anyhoo-I saw the other listed book below via Amazon, but was not able to get a hold of it...so not sure how great it is but looks to be written for children and looks lovely. If I do get my hands on it-I will come back and update my thoughts on it. some essential data and such. 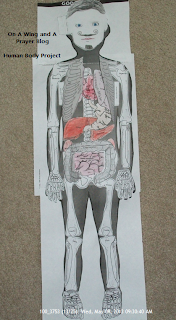 I have also pulled those noted human body books from the shelf and we refer to them when needed. Again-I am using what I have to wrap up this unit and it is all good. Just not what was originally outlined in the study. 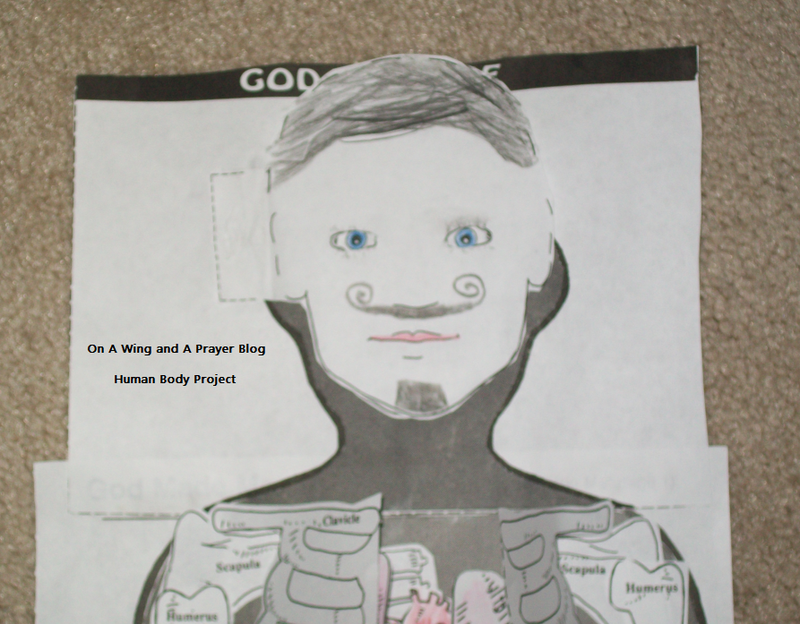 And that my blogger peeps is how we tweaked our HOD study to fit us and our current needs.